Looking for a national HVAC service that can meet the wide range of needs for your multi-location company? No matter where your property resides or how many locations you have, our team excels at pulling together a project, repair or installation with top-notch service. We know your HVAC unit is essential for a variety of reasons, which is why we work hard to ensure you get the expert help you need when you need it most. When you work with Retail Contracting Service, you are not required to sign up for a long term agreement. For RCS, customer retention is earned one job at a time. The HVAC system you choose for your facility can have a positive impact on your energy costs. However, this is only true if you install it correctly. An improperly installed heating and cooling system won’t be energy efficient. Even worse, it could potentially damage your roof or other parts of your property. Any location, any time installation from RCS gets things right from the start. We handle all of the details and scheduling. Also, you can receive expert installation services at any of your locations after just one phone call to our service team at RCS. You can also request service directly on our website instead of spending time in an endless online search of local providers. A problem with your cooling system in a retail shop, restaurant or other consumer-facing setting is a real emergency. Your customers will not want to spend much time in your facility if it is too hot or cold, so a prompt repair is essential. Repairs during the holidays are particularly important; losing customers at this time of year can affect your revenues for the entire year and completely derail your budget. Since HVAC repairs can lead to expensive downtime, the ability to deploy a team quickly, assess the problem, and then rapidly fix it is crucial. That’s where RCS comes in to meet your needs, sending experienced HVAC repair technicians right to your door in less time than it would take you to do a Google search and compare online listings. We understand how costly downtime can be and make your HVAC repair needs a priority for our team. 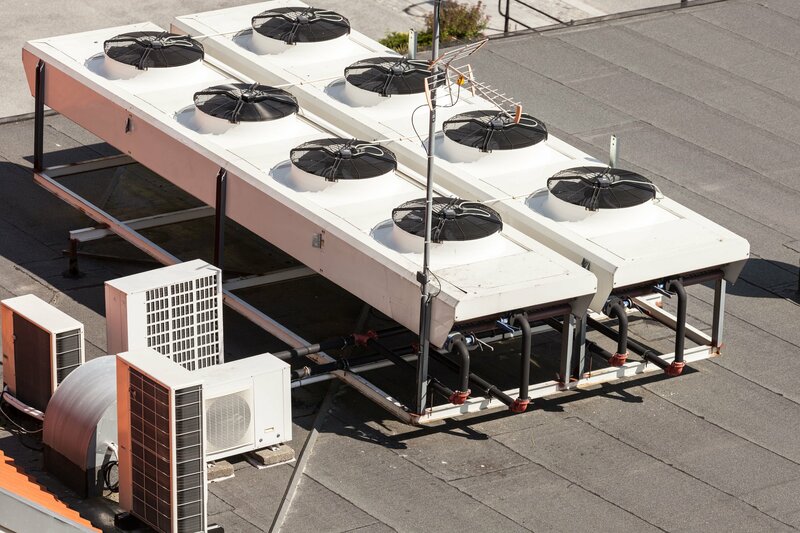 The right approach to commercial maintenance can help prevent problems with your HVAC system and ensure it stays fully operational and responsive to your needs. An up to date, well-maintained system also saves you money every month, as it will operate at peak efficiency around the clock. Take a proactive approach to your HVAC maintenance for all of your locations by working with a national HVAC service. Our expert team can help make a comprehensive maintenance plan for your facilities and ensure you never experience downtime or the discomfort of a too-hot facility. Work with a team that can service not just one, but all of your locations and facilities; you’ll love the peace of mind that comes from knowing you have pros available to meet your HVAC needs. Get in touch with Retail Contracting Service today to discuss your multi-location concerns. We will also show you how a national HVAC service can help your brand.